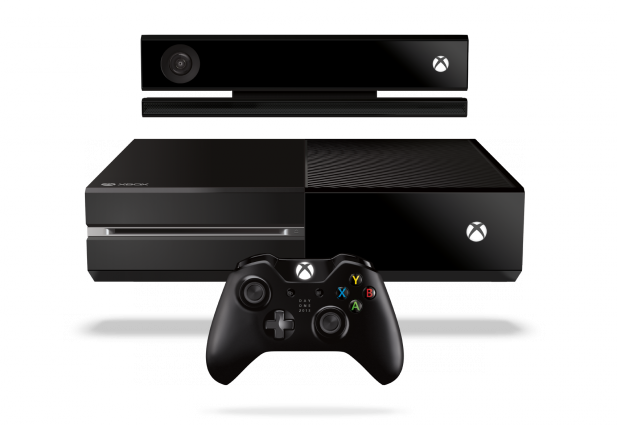 Since the reveal event on May 21, the Xbox One has been subject to a lot of criticism and negative first impressions. Even more damage was done because to the presumptuous Microsoft Xbox management team responding slowly to serious customer concerns. These ranged from DRM to privacy, game sharing/reselling to supporting the Indie developers, not to mention of a lack of focus on gamers in the reveal event. And there’s even more damage done during the course of these recent series of damage-control measures, also known as backpedaling. When Sony hosted their reveal event way earlier in February and gained a solid fanbase for the PlayStation 4 and quite a bit of positive press from its success. Both Sony and Microsoft had begun accepting pre-orders for Playstation 4 and Xbox One after E3. Based on them, the numbers and the public opinion seem to be heavily skewed in favor of Sony, especially after the moment when Sony said “Three Ninety-Nine dollars” on the stage. This had a very large effect on the subsequent pre-order numbers. That’s when Microsoft realized their position among the critics and fans, and started reviewing their policies and restrictions. True to form they didn’t subsequently make the series of reversals until their customer base left them no other choice. This was followed by a top-level executive jumping the ship. It took Microsoft almost three full months to realize what gamers really need when it comes to concerns in-game sharing, user-hostile restrictions, privacy and the options available for the users, and expressed their goodwill to the Indie developers. Unfortunately the steps they took are both tentative and easily reversible. Forever at Microsoft seems to mean, “Until the press looks elsewhere”, remember Zune, Plays For Sure, and “buying” music from them? While we won’t speculate on the plans Sony initially had for PlayStation 4 in regard to the above areas, Sony Playstation management acted quickly enough to address all of the above on or before E3 2013 which is far earlier than Microsoft. The fact that Sony has a more supportive stance on Indie game development which is widely praised by gamers and developers alike bodes well for them. All of this turns in to quite a lot of positive press and favorable initial impressions for the PS4, and that was actually reflected in early pre-order numbers. Another restriction that had the most repercussions among the critics and even fans was the always on Kinect requirement. Unfortunately this instant control feature offered by the new and improved Kinect sensor is the most eye-catching and a crucial portion of the Xbox One platform’s non-gamer appeal for home entertainment. However John Carmack, founder and technical director at id Software, did not help things when he described it during his keynote at Quakecon 2013 as a mouse without buttons. The technical limitations like high latencies, low framerates, and the inability to include an instant trigger (such as a button or detection of finger snap) made the whole Kinect experience a fundamentally a poor interaction choice for gaming. Carmack then stated he was not sold on the feature as a cornerstone of a gaming platform. With around 60 ms latency for processing and a very slow framerate of 30 fps at 1920×1080p resolution for the new Kinect, it compares poorly to the Playstation 4 Camera. That captures dual 1280×800 streams at 60 fps, and 120/240 fps for lower resolutions at 640×400/320×192. Neither device gets an obvious upper hand in low-latency high-framerate motion capture. Until the processing hardware (also the raw processing power available to the console) and the sensors get another upgrade, neither will be good enough to get 60/120 fps capture for dual 1920×1080p at under 30ms latency. If you also account for processing even that will be hard to do in similar system power envelope to today. With that said, most game studios who didn’t use motion sensing extensively in the past-generation probably won’t put motion sensing on a higher position of their to-do list this time, exactly the result that Microsoft was desperate to avoid. To rub salt into the open wound of Xbox One policy reversal debacles, the lack of proper options available to users in the first place and the presumptuous attitude of the Microsoft Xbox management that so damaged initial customer impressions wasn’t cured in a timely fashion. Worse yet they were only partially addressed but the announcements above, and even though Microsoft played the Xbox Reversal (or Xbox 180 as some call it) trick four times in a row, they only really succeeded in making headlines about their unacceptable policies four times. Instead of dealing with all of the above in one-shot or better yet not having abjectly anti-user policies in the first place, Microsoft once again took the self-destructive route. [Author’s note: Yup, 180 times 4 equals to 720, so Microsoft should really called it Xbox 720 in the first place.] Unfortunately there seem to be no signs that there is actual change in Redmond about user rights, just reactionary panic. One could argue the the Kinect sensor is the same type of device as an any ordinary webcam on modern-day notebooks, tablets and smartphones. While users can only disable them or put them in standby mode, they can’t unplug them even if the user doesn’t want to use it at all. It is however against customer expectations surrounding any auxiliary PC/game console accessories, as in any USB devices. Unless the whole Kinect block is built into the console, there isn’t a valid technical reason not to the let user unplug it by always detecting it in the system software. While it does endanger Microsoft’s advertising and personal data sales revenue, for some reason consumers don’t show much concern over that. To hit the final nail in the coffin, the rollout schedule is subject to much disappointment, too. Earlier in June Microsoft decided to delay the release of the console until 2014 for Japan and even later for Asia (including Taiwan, Hong Kong, Singapore and India markets) until the holiday 2014 season. Even worse, Microsoft has just decided that Russia, Belgium, Netherlands, Switzerland, Sweden, Norway, Finland, and Denmark will not get their Xbox One console until sometime in 2014 too. The decision to cater to a few markets at launch is not a problem from the company’s perspective but is utterly stupid to let down the Xbox fanbase outside these markets. Those who have yet to decide on which console to purchase will ultimately consider price, availability, initial impressions, and word-of-mouth. All of those were heavily favoring the Playstation 4 as of time of publishing. Should Sony deliver Playstation 4 worldwide within three to six months period after initial launch, it’s game over for Xbox One. The majority of the world can buy a PS4 or an end of life XBox 360, it isn’t a hard choice. Right now, Xbox One is being described as a PlayStation 4 with a $100 price premium that’s still not justified. Well at least that’s a positive sign for finally getting mentioned alongside the main competitor. The next steps would perhaps be a complimentary 1-year Xbox Live Gold subscription to close the pricing gap between Xbox One and the real PlayStation 4. Better yet, another reversal on the rollout decision, and launch worldwide within a three to six months window. Given Microsoft’s revenue plans for the XBox one, SemiAccurate doubts either will happen. By doing so, coupled with an overwhemingly unique game experiences than the competition, there would be a tiny bit more hope that the Xbox could lure more people to their the console. Once games are shown on both platforms, the performance lead of the PS4’s hardware should dash that flicker of hope. However, the game experience that is unique to the Xbox One was yet to be seen with Microsoft not going to deliver their IllumiRoom research project anytime soon, and a lack of compelling games and genres will not help either. It would be a fingers crossed moment for the Xbox management to hope that the announcement of another Xbox One exclusive title during the GamesCom 2013 later in August would deliver enough surprises and excitement to gamers. Updated: 6pm August 16, 2013 Geographical error corrected.